Colorado has marked another first in the history of the United States. Aside from being the only state that has ever declined the Olympics, it is now known as the only one where marijuana tourism is legalized. Colorado Marijuana Tourism will definitely flourish come 2014 when a limited amount of “recreational marijuana” can be bought by tourists. According to Zip 420, adult tourists may only buy a quarter of an ounce when they visit the state. Children will not be allowed to partake in this activity and any individual who will try to sell or give it to children will be penalized by the law. For a fee of $499 (excluding hotel and airfare), My 420 Tours gave tourists a special trip. 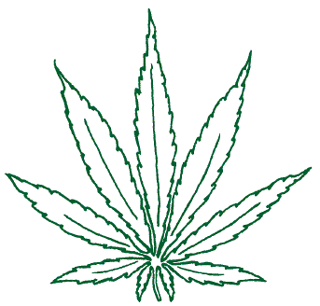 The event got its name from the date that Marijuana lovers consider to be their holiday- April 20. It was not only special- it was historical as it was the most attended of all gatherings of this kind in the country. Tourists were given the chance to participate in the Colorado Recreational Marijuana Cannabis Cup from April 19-21. Guests were picked-up by limousines and escorted to the said cup as well as in other marijuana activities. To top it all, guests were billeted in pot-friendly hotels where they were able to enjoy their joints. The 420 celebrations in Colorado started decades ago at the University of Colorado at Boulder. Students and pro-marijuana advocates come from far and near to light up at 4:20 PM on April 20th (4/20) every year. The 420 rally in Boulder has grown tremendously since it started and even more since marijuana use was legalized in Colorado. Due to police interference with the 420 rallies at CU Boulder, however, many opt to gather at the Colorado State Capital Building in Denver, Colorado. This has given rise to a second large 420 celebration in Colorado. So come get high in Colorado for 420, the world's #1 marijuana celebration. Attend the popular pro-marijuana 420 rally on Capital Hill in Denver or at the University of Colorado in Boulder. On April 20-21, Colorado became the host of the first ever US Cannabis Cup as the High Times Magazine brought this Dutch event a few months after Amendment 64 was passed. It was a certified crowd-drawer based on the presence of 10,000 marijuana enthusiasts at the Exdo Event Center in Denver's River North Arts District. The event consisted of two days of celebratory panels made up of High Time Magazine editors, marijuana movement leaders and celebrities who support the use of marijuana. It also included expositions, cultivation workshops, pro-pot displays and competitions for best buds, hash, edibles and products. A complete list of the winners of the said competition can be found here. A dozen Marijuana enthusiasts started the New Year with a bang as they lit their pot instead of the traditional champagne toast in the first-ever Marijuana Club called Club 64, which got its name from the amendment that legalized recreational Marijuana. For a fee of $29.99, members were able to bring their own pot and share it with others. Buying or selling, however, was not allowed. The ground-breaking event was held in a hemp-based clothing store near Colorado’s business district. Broadsterdam refers to a strip of Broadway, a street near downtown Denver, where marijuana dispensaries are prevalent, to say the least. For people traveling to Colorado to checkout the legal marijuana scene, Broadsterdam is a must see. In this area of Denver you'll find more marijuana shops than you will Starbucks, or coffee shops for that matter. Moreover, marijuana dispensaries on Broadsterdam are anything but discrete. Drive down Broadsterdam and you'll see dozens of advertisements for marijuana dispensaries, MMJ doctors, grow shops and headshops. It's a cool sight for Colorado tourists whom are interested in the marijuana industry to see. Colorado: First Legal Marijuana State? By 2014, Colorado will not be known for its Rocky Mountains and beautiful sceneries alone. It will become a haven for people who simply love to smoke pot, regardless of the limited amount. Really? Slow down, amigo! The State still wants to make sure that tourists won’t go panic-buying so Marijuana commerce laws are still underway. Richard Grand, Communications Director of Denver’s tourism marketing agency could never have said it any better when he compared marijuana legalization to home-brewed beer- it’s something that you can brew, share with friends, but not to be taken on the streets or sell it.